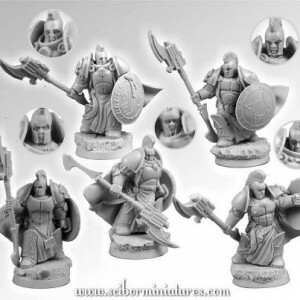 Scibor has new SF Spartan Veterans available over in their webstore. I must say, I do like the way they look. In blister You’ll find 5 unpainted resin miniatures and 5 scenic round, 25mm, resin bases.